The Aldens visit their mysterious Aunt Jane at her run-down ranch and make a surprising discovery! What disappointed you about Mystery Ranch? My children and I listened to the first three books in the series and loved them. We made it through ten minutes of book 4 with the new narrator, after two I was thinking "ugh I can't stand this narrator but I will not say anything." By eight minutes my kids were begging me to turn it off. They said the narrator sounded like a cartoon and they didn't want to listen anymore. Unfortunately I agreed with them. We will see if other books go back to the old narrator or a different one, otherwise unfortunately we are done with this series. My son and I enjoy listening to these. Narration very different from first 3 books. Benny, he is always getting into trouble and saying funny things. What does Aimee Lilly bring to the story that you wouldn’t experience if you just read the book? I prefer the narriator from the first books. My son loves the box car children books. He really loved the first collection but was disapointed that the narriator had been changed for the additional books... he cant seem to get into them with the new voices. The first 3 books are narrated by someone else, and does a great job. This one is so different. My kids and I couldn't stand it. So glad that the next book has a different narrator. The voices this one does for the kids are ridiculous! What I loved about this book. I rated overall four stars because it was nice and funny but it was kind of old fashioned. I rated performance three because the person who read it had feeling to the story but the the accents sounded kind of silly. Classic story RUINED by a HORRIBLE narrator! 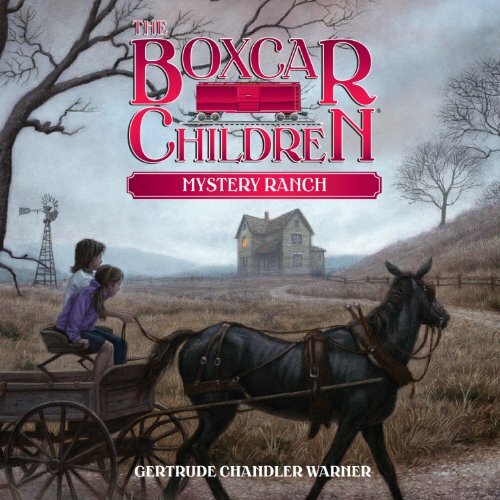 We originally purchased the Boxcar Children set of books 1-3 read by Phyllis Newman (it seems it is no longer available on Audible...???) and loved the voices she gave the characters. While listening to this title my son and I nearly jumped out of our skin when Benny’s character first speaks!!! Aimee Lilly makes Benny sound like a 99 year old frightening gargoyle! Very scratchy, deep and loud. We purchased the next offering in the series, book 5, because it had a different narrator and although he’s an improvement, I truly wish Amazon would scrub the entire series and redo with Ms Newman!! I’ve been a member for 7 years and have the 2 credit/mo membership, so including my MANY outright purchases, I’ve well over 200 titles in my collection. This has been, by far, the WORST narration I’ve ever heard. This is especially heartbreaking as my son is throughly intrigued by these characters and has enjoyed being able to listen at will (he’s in Kindergarten and I’m unable to read to him 24/7) but I will not be purchasing any of the other many titles.